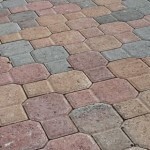 We absolutely love working with GEM pavers. 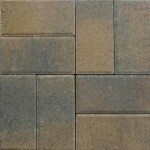 They are one of our preferred vendors of pavers. They are local to South Florida, make a great product, they have a countless number of shapes, colors and sizes, good product availability and competitive pricing due to their constant inventory levels. 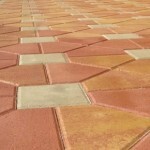 They have been a staple in the South Florida Paver industry since 1989. 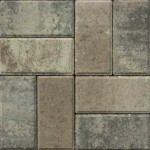 Like most paver manufacturers, GEM uses both white and grey cements to produce their colors. 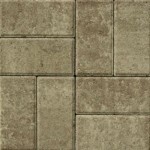 White cement pavers tend to cost a little more per square foot ($0.10 – $0.25/sq. ft.) due to the fact that white cement is a more refined product than grey cement. 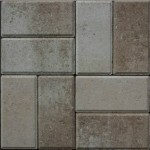 Lighter colors – tan, cream, white, coral, and yellow are made with white cement. 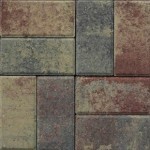 Darker colors, on the other hand are made with grey cement – charcoal, red, brown, grey. 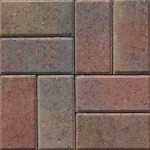 Most paver areas you’ve noticed though are made with what are call blended colors – a mix of colors all in one paver batch. 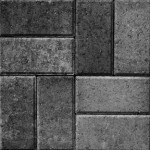 Common blends are white and tan, red-tan-charcoal, coral and white. 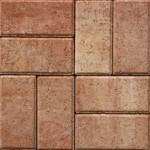 You can purchase solid color pavers to accent the blended pavers. For example, a pool deck might have a solid cream color coping around the pool edge with tan, cream, and white pavers blended behind. 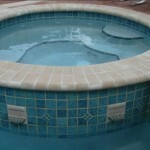 The complimentary cream coping really helps pop the pool and delineate the edge as well. 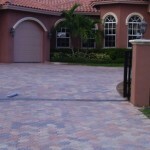 Other times, you can use a solid color border to outline your driveway or patio. 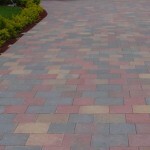 Common border paver colors are charcoal and brown. 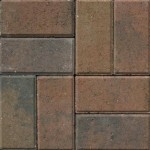 Below, we have a gallery of some of GEM Pavers’ more popular color blends. 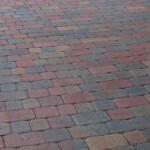 If you like what you see from the raw colors, here are a few photos of paver projects where GEM pavers were used. All of the pictures on this page are from their website – gempavers.com. 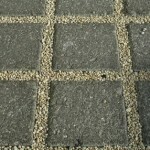 Pictures can only do so much, the real impact is seeing the pavers in person. Contact us today for a free estimate from one of our expert consultants. 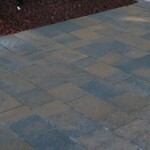 Also, here’s some more pictures from GEM Pavers of completed projects. We look forward to hearing from you soon!